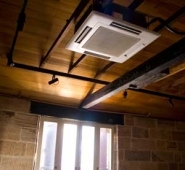 The First Two-pipe Heat Recovery System that Simultaneously Cools and Heats. The R2-Series simultaneously cools and heats different zones within a building to provide energy-saving, heat-recovery operation through the use of the BC Controller. 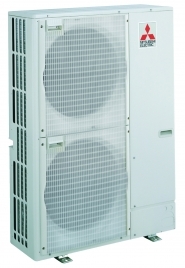 The R2-Series can support up to 50 indoor units. New modular units feature a compact chassis, smaller installation footprint, low operating sound, easy piping and maintenance design, and are lightweight. R2-Series systems are available in both 208/230V and 460V up to 20 tons for different applications. Y-Series outdoor units are flexible enough to cool or heat up to 50 individual zones, maximizing building design options. New modular units feature a compact chassis, smaller installation footprint, low operating sound, easy piping and maintenance design, and are lightweight. Y-Series units are available in both 208/230V and 460V up to 30 tons for different applications. Solutions for the home or small office. 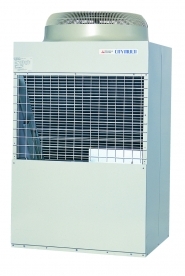 The CITY MULTI S-Series is a single phase heat pump system perfect for light commercial or large residential applications. 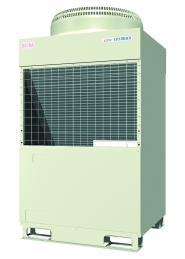 Available in 36000 or 48000 Btu/hr, the S-Series can provide cooling or heating for up to eight individual zones.